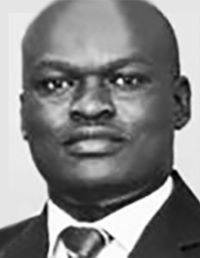 Tommy Ogwang - Educated at Makerere University School of Law where he graduated with a Bachelors of Laws degree, LLB (Hons). He proceeded to do the Bar Course (Post Graduate Diploma in Legal Practice) from the Law Development Centre Kampala. Tommy was in House Legal Counsel at Case Hospital in Kampala for 1 (one) year before moving to Masembe, Makubuya, Adriko, Karugaba & Ssekatawa Advocates (MMAKS Advocates) from 2013 to 2016 were he worked as an Associate in the Corporate and Commercial Advisory team, Tommy later joined Orima & Co. Advocates as a partner in the Commercial and Corporate Advisory team in 2017. Tommy Ogwang joined CBA as independent Legal Adviser in Kampala, Uganda in August 2017.